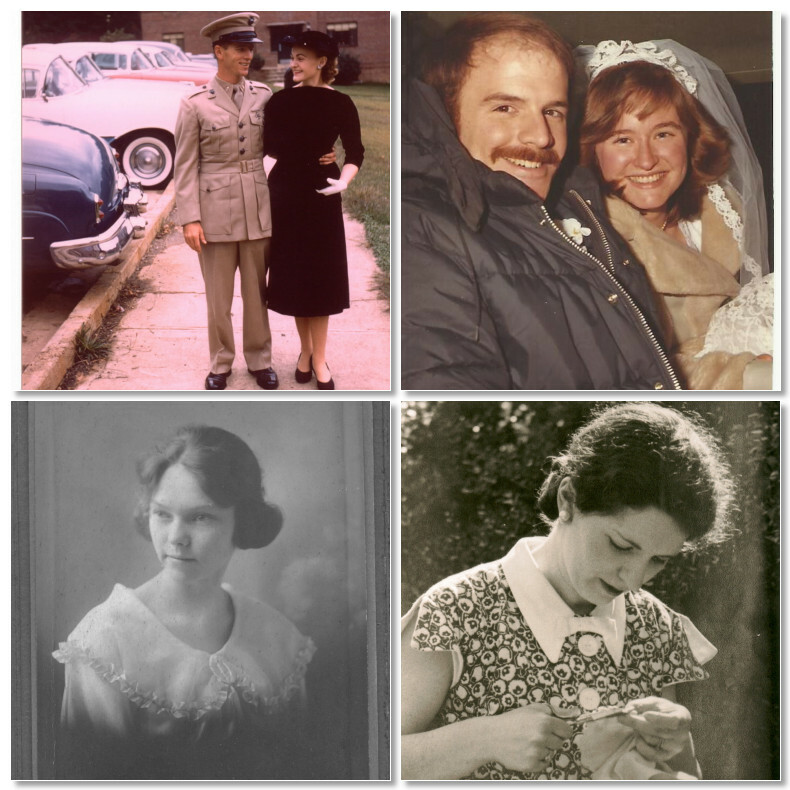 The first, from my parents, was my life and a childhood of love. The second, from my husband, has been a lifetime marriage of love and loyalty. The third, from my Grandmothers, is a heritage of women who use their hands to make beautiful and useful things. A heritage of quilters, knitters, crocheters, and seamstress's; those who take scraps and make beautiful quilts. 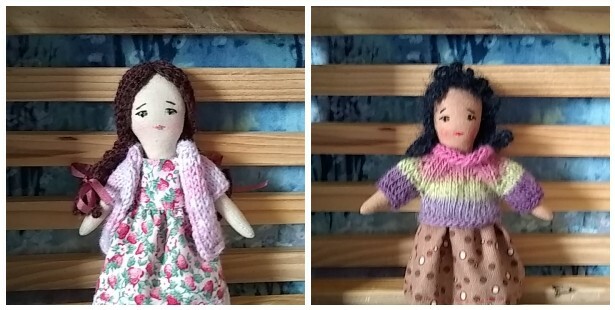 Who take string and make sweaters and scarves to warm the cold, and dolls and toys to bring joy to children of all ages. Who take thread, and make art. Be thankful for the gifts you have been given, and show that gratitude by passing along the gifts you have to a new generation. 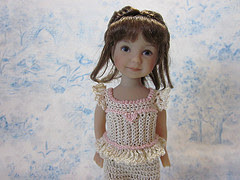 Other tiny cloth dolls include Sue Sizemore's cloth Hitty. I have the pattern, but have yet to make this sweet doll. 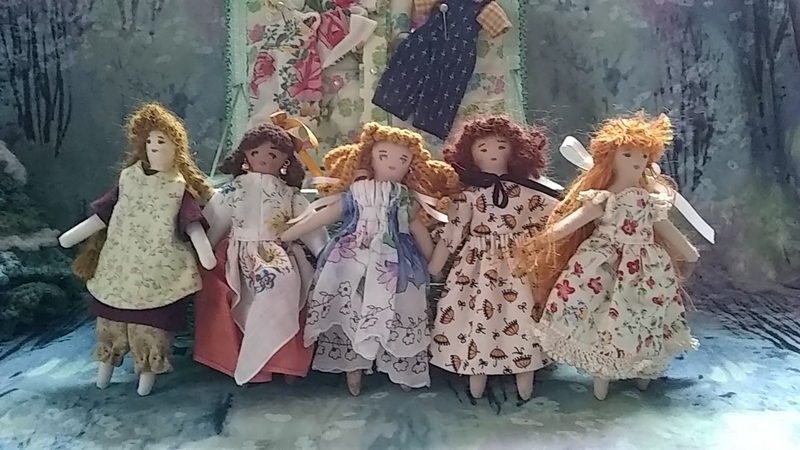 Edith Flack Ackley made several patterns for doll house dolls in the 1930's. 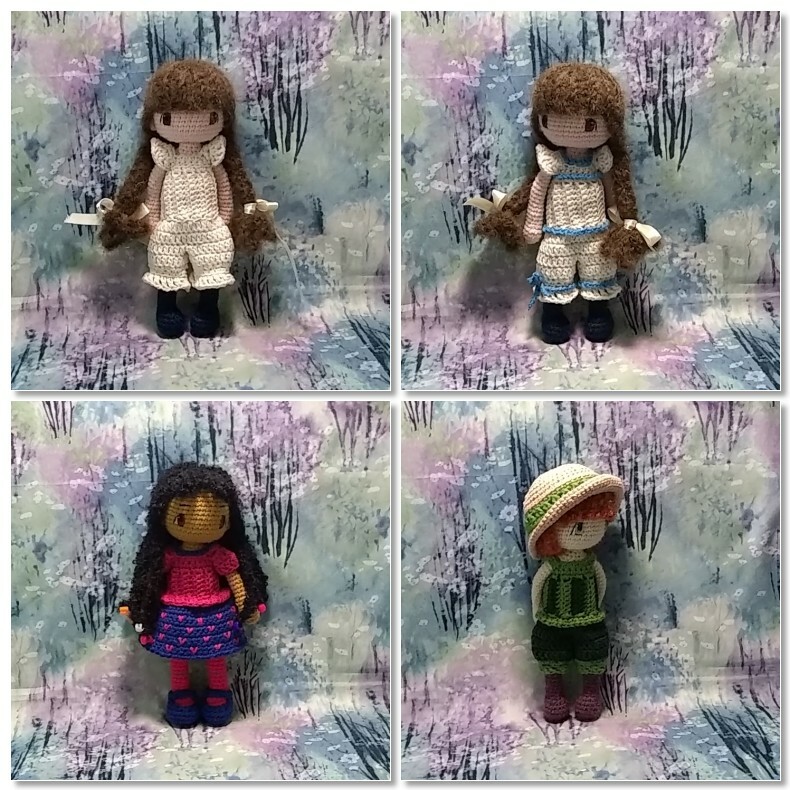 Pattern replications are available on Etsy, or you can do a Google search and possibly find one for free. Another way to make a tiny cloth doll is to reduce a simple rag doll pattern to the size you want. 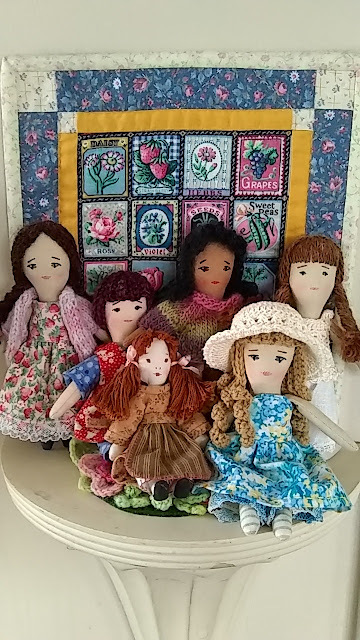 I did this with my Prairie Flowers cloth doll and copy machine! If your doll pattern makes a 10 inch doll, and you want a 5 inch doll, reduce the pattern by 50%. Play around with the percent reduction to find just what you want. To sew such a tiny doll, either by machine or hand, it is easiest to make sewing templates. Using double sided tape, tape your reduced pattern to cereal box cardboard (a great way to re-use!) and cut out the pattern ON THE SEWING LINE. Place the pattern on your doubled fabric, and use a heat disappearing pen to mark the sewing line all around the pattern (I like Frixon erasable markers by Pilot). 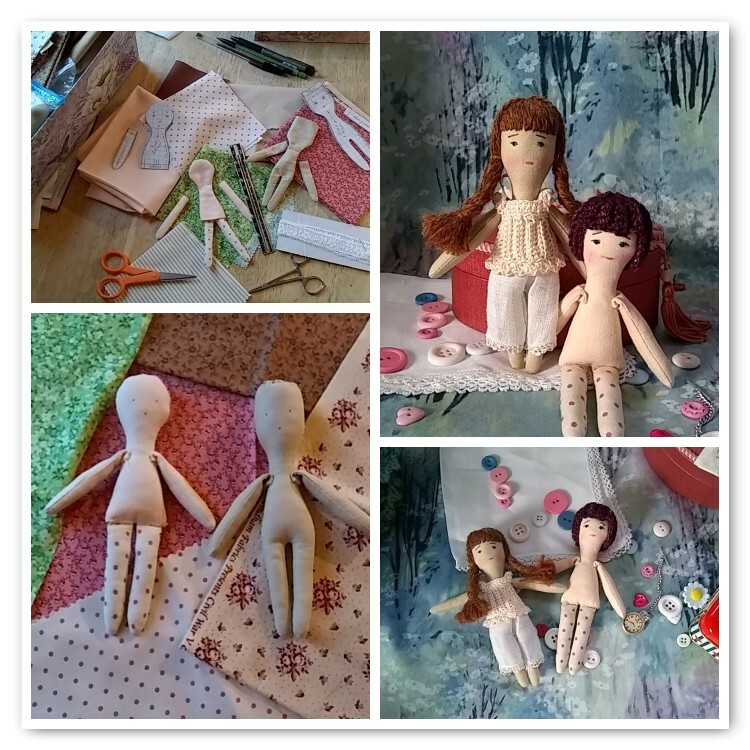 Since these dolls are so tiny, don't cut out the fabric, simple put it in your machine and sew around the line you've drawn, then cut out leaving a 1/8 inch seam allowance. With this seam allowance, you won't have to clip curves either! 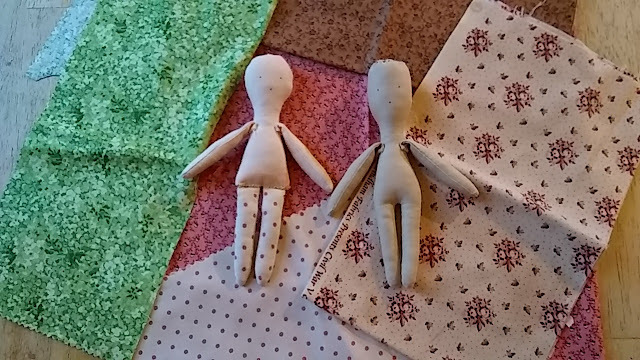 I made a couple of different cloth doll patterns by modifying a tiny Edith Flack Ackley pattern. For one, I left the bottom of the torso open and made the head round (by tracing around a bottle cap), and for both of them I made separate arms to attach after the body is stuffed. The very same pattern was used for both. 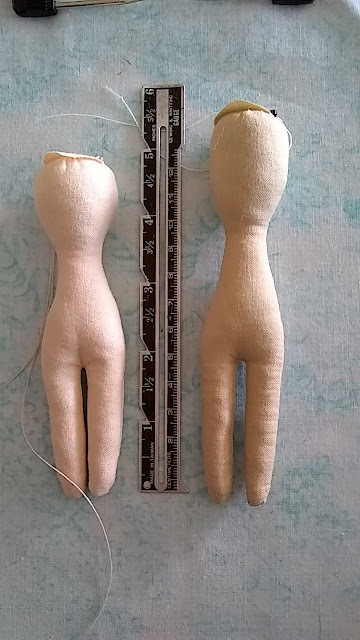 The doll on the left was placed with the stretch grain running side to side, and the one on the right the stretch grain runs the length of the body. There is almost one inch difference in the height of the dolls! 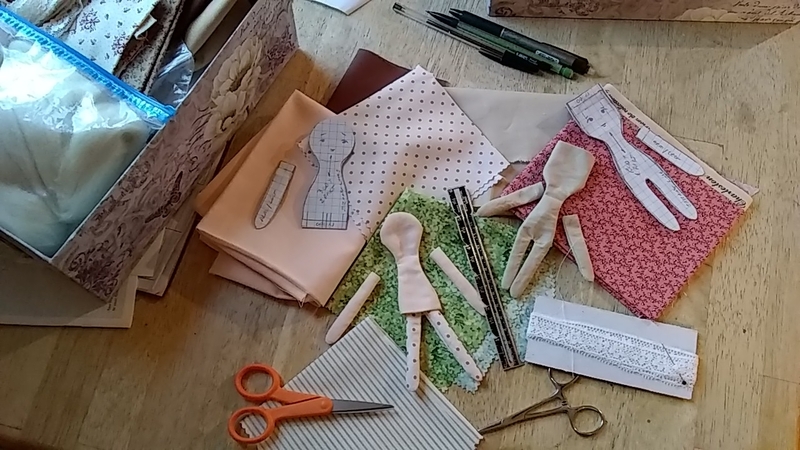 Simple dresses can be made by cutting a waistband to fit around the doll; cut a skirt to gather to the waband, then sew a button and buttonhole loop to the back. She doesn't even need straps to hold up this simple dress. My fourth Feel Better Friend, for a tiny Club Foot warrior. Children with club feet (ankles that turn inward, outward, or downward) wear a set of boots and braces for as much as five years after birth, after several casting and manipulations shortly after birth to orient the feet into the proper position. So the sweet girl receive this doll has several years of braces ahead of her. 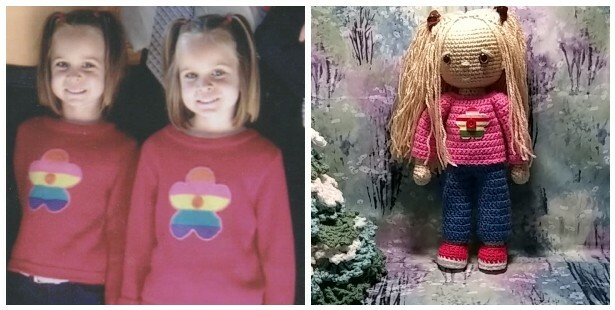 I was lucky to find that one of the knit sweaters in the Arne & Carlos book fit this doll almost perfectly, changing to DK weight yarn and size 3 and 4 needles. All I had to do was shorten the sleeves slightly. 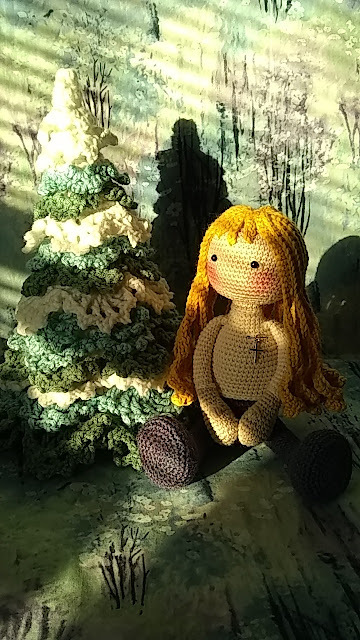 She is on her way to her new home, and I am on my way to making some tiny cloth dolls! I have joined a group called Feel Better Friends. 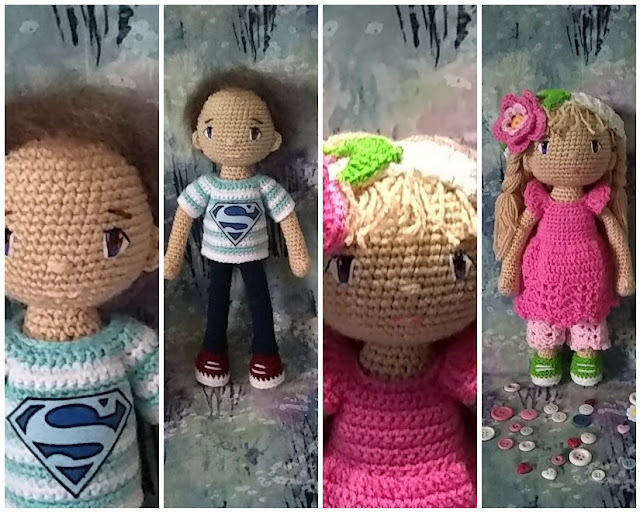 Their mission, in their own words: "Feel Better Friends are handmade dolls stuffed with love and well wishes, crafted by volunteers and donated to children battling cancer and other illnesses." A perfect fit for someone who enjoys making dolls and seeing them in the hands of children. 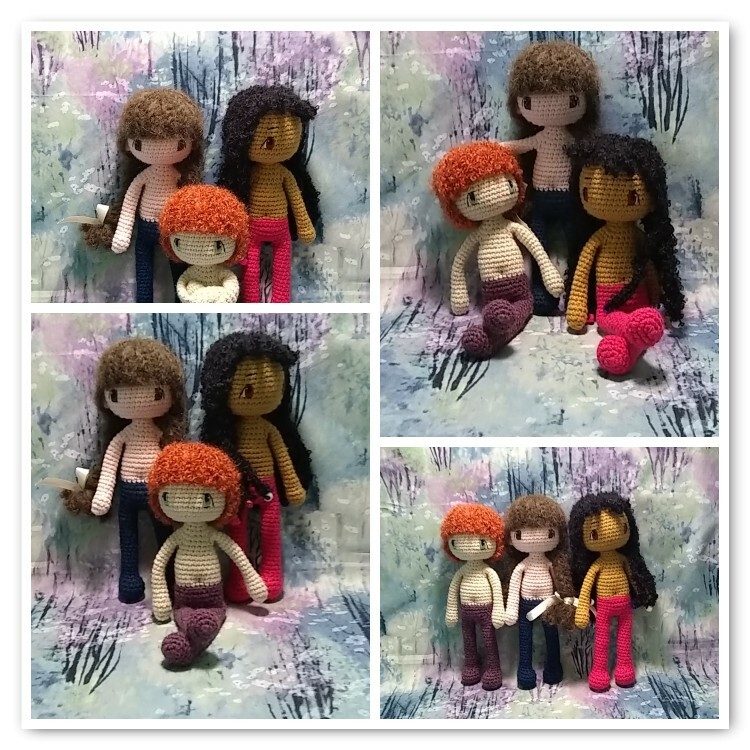 To join, you must create a test doll from the Feel Better Friends pattern available on Ravelry and submit it to the Facebook group Feel Better Friends Volunteer-in-training for approval. Once approved, you become a member of the Feel Better Friends Dollmakers. For my test doll, I created a new type of wig cap, working in a semicircle in rows instead of a circular cap worked in spiral rounds. 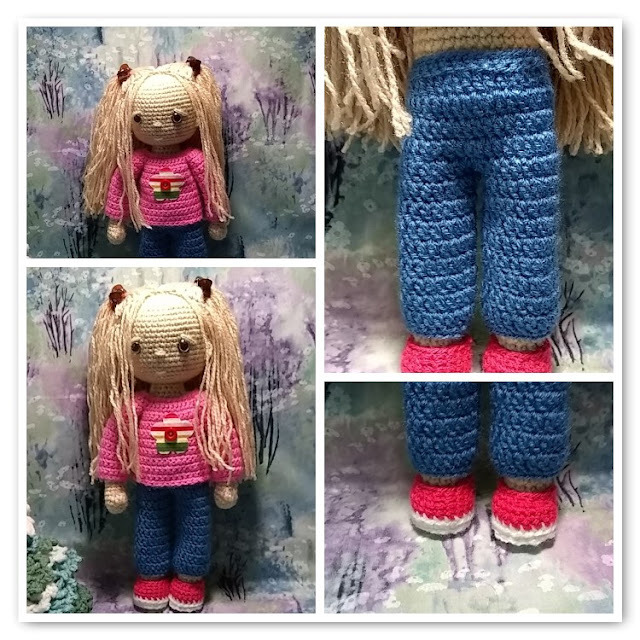 I also created a T-shirt, blue jeans and shoes to fit my doll. 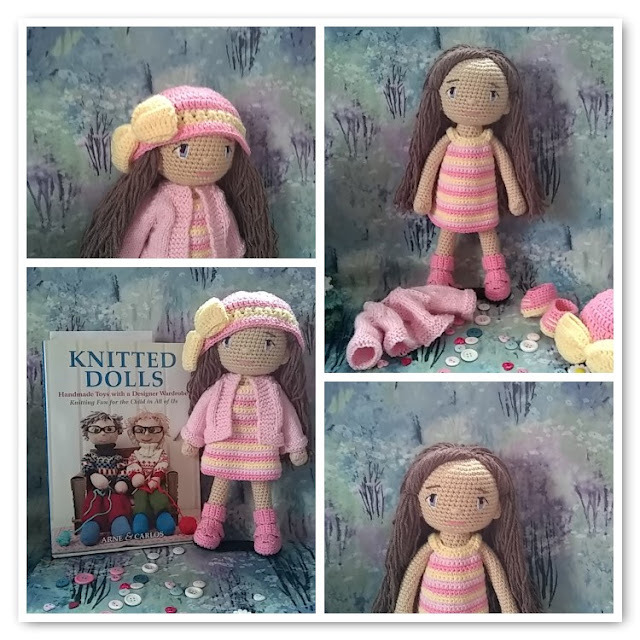 The doll is 12 1/2 inches tall worked in Vanna's Choice worsted yarn and an E hook. I am happy to share the patterns with you! 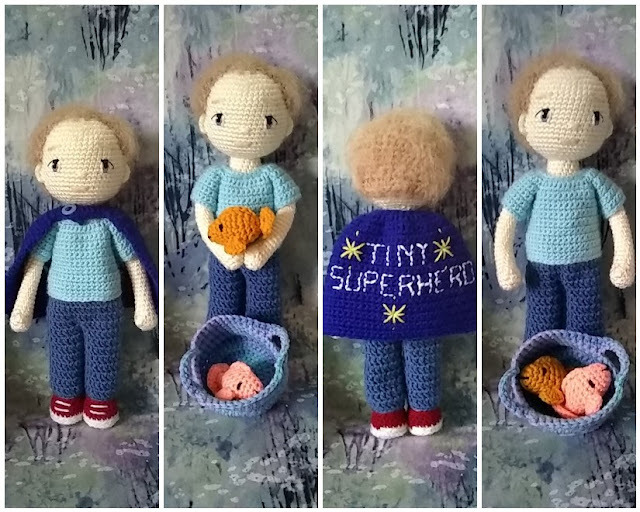 I'm about to start on my first doll for a child, a young boy of two battling brain cancer. 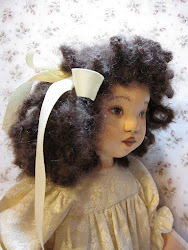 It is my believe that a doll is a tangible expression of love and hope. May they bring comfort where it is needed most. 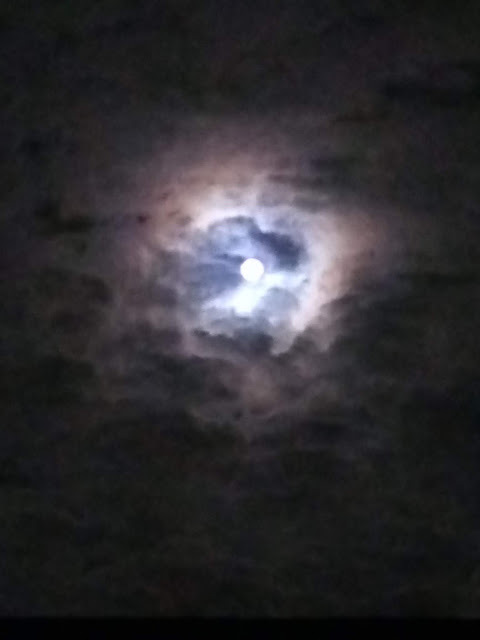 ...and may the Light shine on all you do! 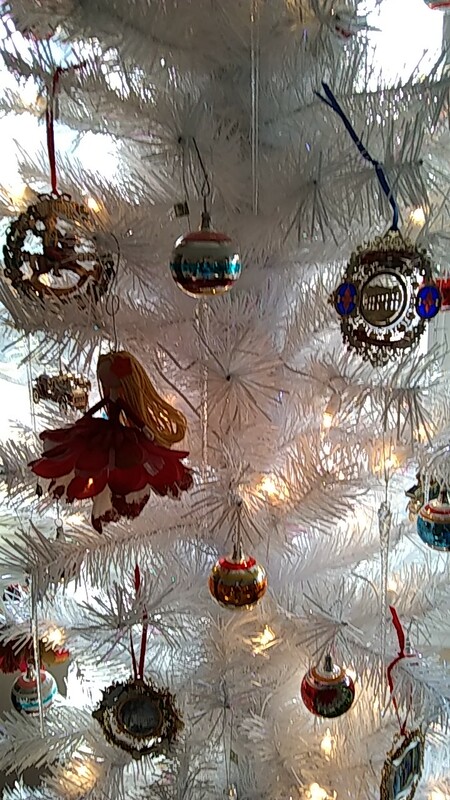 Merry Christmas, and God bless us, every one! 100 years ago this Veteran's Day, armistice was declared and WWI came to an end. Remember those who gave their lives for our freedom; who lived to return to nightmares of combat; and all who stand for liberty and justice for ALL. Sweet Ami's...sweet friends. 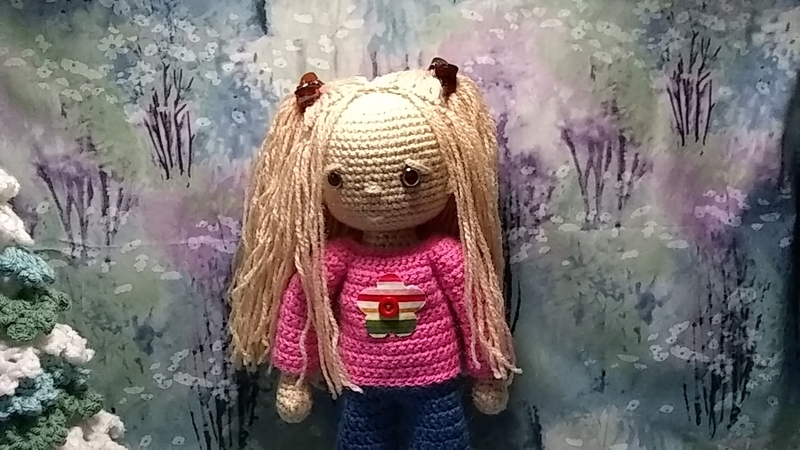 I want to share with you a new doll pattern. 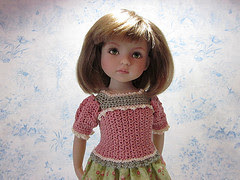 She is worked in worsted weight yarn with a size D hook. The crochet is seamless, with the legs crocheted together into the torso, and the arms crocheted to the body at the shoulders. The head is separate and jointed to a neck stub that will let you move your doll's head around. Sweet Ami has embroidered eyes, using a simple technique that give you something of a Manga look. 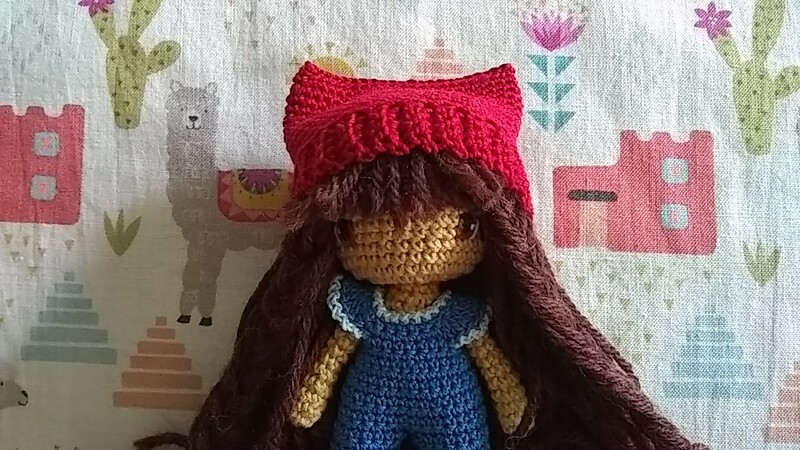 Sweet Ami stands 9 1/2 inches tall, and has a simple to make wig cap that can be modified by your imagination into just about any hairstyle; and use just about any yarn, once you see how the wig is constructed. So without further ado, here is the pattern for Sweet Ami's. 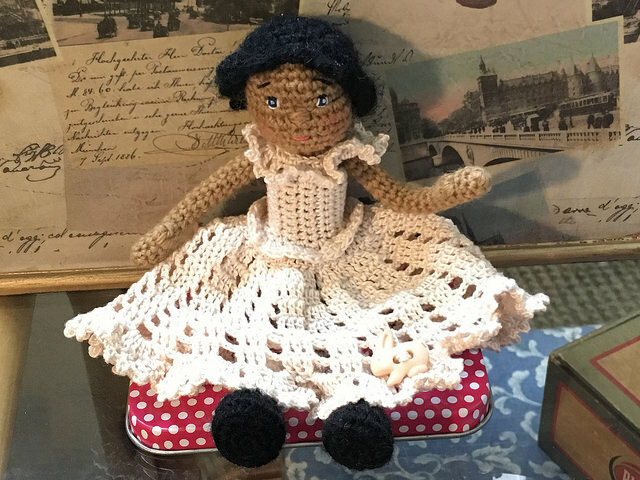 Make a sweet friend for yourself, or someone special in your life, and enjoy the crochet!